If you don’t buy one, they might stop making cars like the Toyota GT86. And then how will you feel? ► Who makes the best cheap coupe? 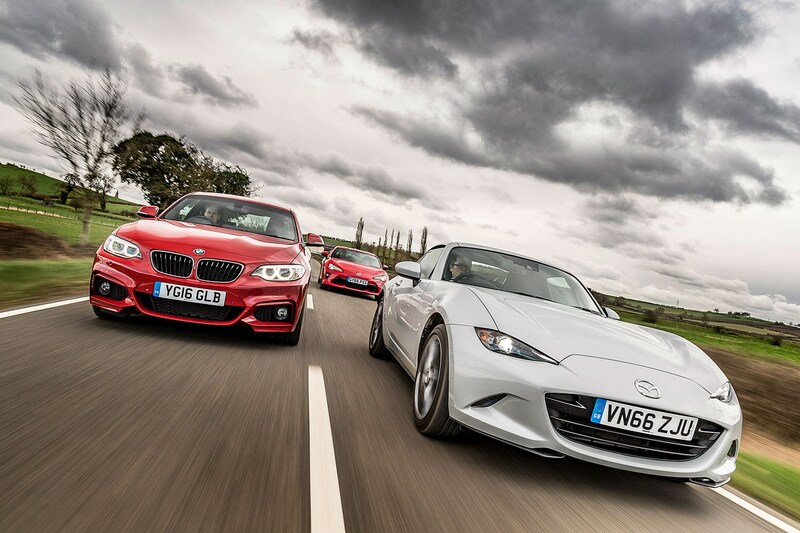 Mazda’s fourth-gen MX-5 has rightly been lauded as a return to the car’s roots. A pure, naturally aspirated, lightweight two-seater that’s smaller than even the 1989 original, it mitigates any disappointment over its modest straight-line performance with the largely forgotten ’60s sports car thrills of feeling the wind in the hair, the road at your fingertips, and quite possibly your passenger’s leg, provided they’ve signed a very 21st century waiver. But here’s a stat that flies in the face of this flies-in-the-teeth fantasy: only two out of every 10 previous-gen MX-5s sold were actually soft-tops. Punters overwhelmingly wanted the coupe-cabrio version, and understandably so. It looked barely any worse than the convertible and lost none of its boot space either. Its return was inevitable. Its return looking like some awful Mitsuoko kei-car knock-off of a BMW Z4 coupe viewed through a fairground mirror after a heavy night on tramp fuel was rather more of a curveball. 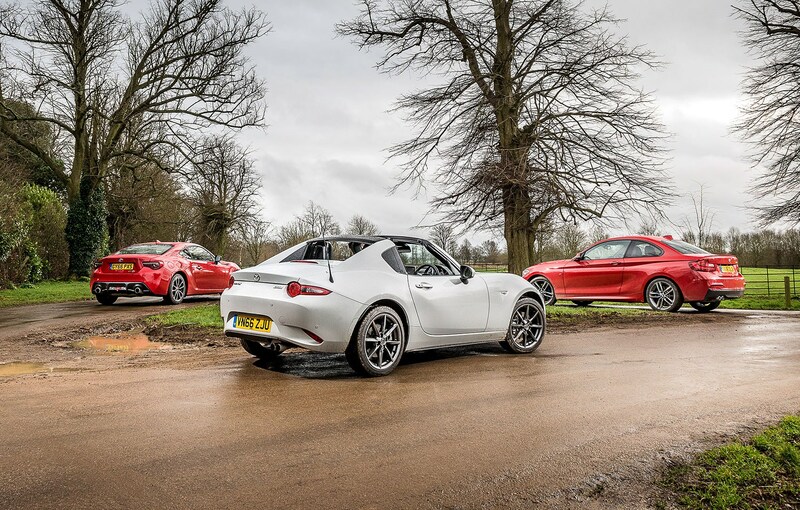 The new MX-5 RF, with RF standing for retractable fastback, is not a full coupe cabrio like its predecessor. 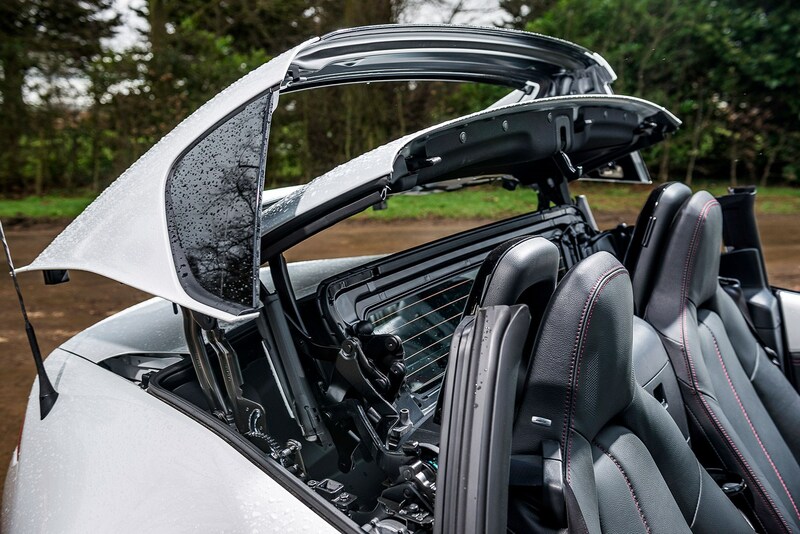 Instead, it’s a bit like a modern 911 Targa, the central feature being a removable roof panel that can be retracted electrically below the rear deck. To be fair, some CAR staffers thought it looked okay and have sent me notes to that effect, but there didn’t seem much point including them here since braille doesn’t really work on ordinary paper. Occasionally, just occasionally, when you squint a bit you can see what Mazda’s design team was trying to do. But ultimately it’s like that between-programme ident for Channel 4, when the disparate shapes drift into place to make up the logo: it makes sense for that fleeting moment from one very specific angle, then reverts to an ugly mess. It’s top-heavy, it looks too tall, the fake side windows are awful, and it’s nothing like as handsome as the basic roadster which costs £2k less. Shall we mention that it’s not even a fastback, whatever the name says? But anyway, with the roof up, it is essentially a coupe, and that means it’s going to appear desirable to people who might not ordinarily look at the soft-top MX-5. It also means it’s found itself some quite literally stiff competition in the form of this pair of proper coupes we’ve brought along today. You can mate the RF shell with the basic 129bhp 1.5 engine from as little as £22k, but we’ve gone for the pokier 158bhp 2.0, which in Sport Nav trim weighs in at £25,695. 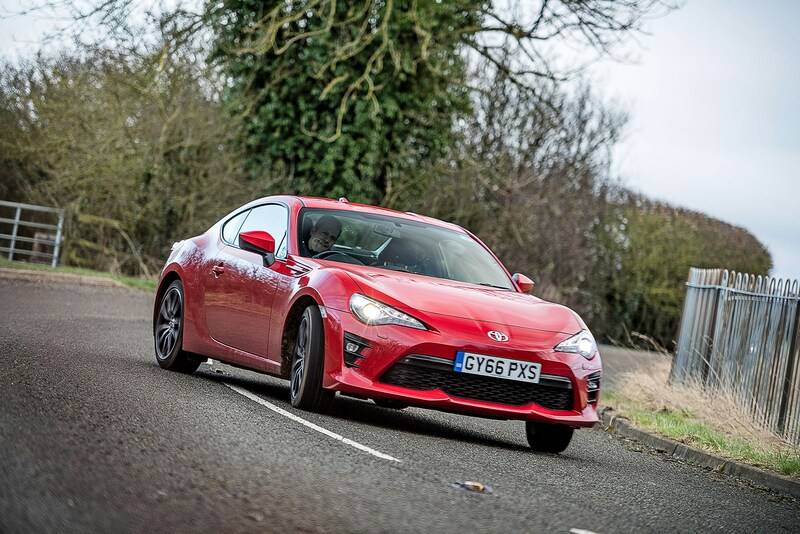 That puts it almost neck and neck with Toyota’s sublime but slow-selling GT86, which is powered by a 197bhp Subaru-derived flat-four, costs £26,410 in base form, and now features retuned suspension and more equipment following a mild facelift. BMW’s 2-series coupe is due a fettle too, but the spy shots suggest it’s so inconsequential we’d not steer you away from the current car. This is the refined, grown-up face of the compact rear-drive coupe sector. We love the M2 and respect the sensible 220d diesel, but haven’t had much chance to get to know the 220i, here in 30-grand M Sport form. 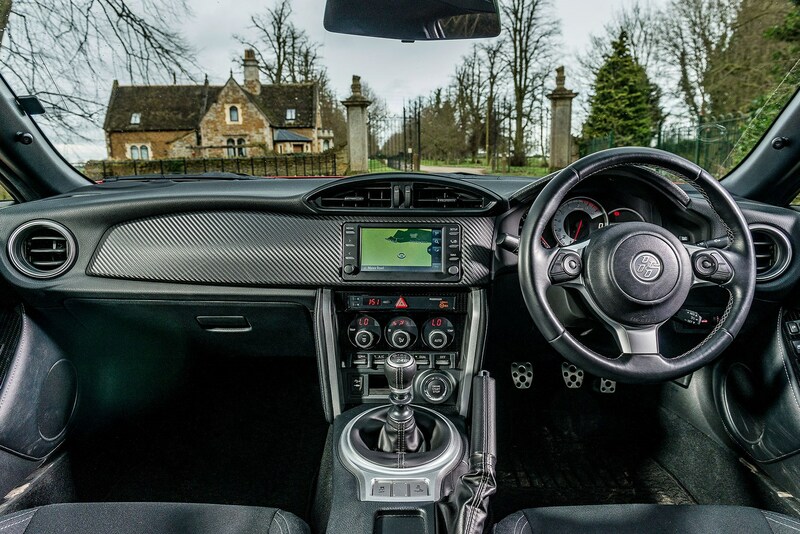 It’s looking like money well spent when you crack open the throttle and the GT86 fades in the rear-view mirror like a water-skier whose line has just snapped clean in two. The BMW is unusual here, and only here, by virtue of being turbocharged. The 2.0 TwinPower engine makes a middling 182bhp compared to 158bhp for the Mazda and 197bhp for the Toyota, and it’s bolted into a body hundreds of kilos heavier than both, resulting in the worst power-to-weight ratio. But with 214lb ft of torque on tap from only 1350rpm and this car’s excellent ZF eight-speed auto making the most of it, the 220i feels borderline rapid, reaching 62mph in 7.0sec, and 146mph flat out. That’s just outside accepted hot hatch levels these days, but it’s definitely got enough go to keep you interested, spinning smoothly towards the 7k redline, though cruelly letting you down before you’ve made it with a rev limiter softer than a pillow in a £500-a-night hotel. Still, it’s happy to climb and just as happy to lug. Although we’d probably go for the manual version and pocket the £1600 difference, the ZF suits this car, underlining the 2’s distinct position in this line-up. You can buy a GT86 with an auto box, but why you’d do that I can’t imagine. Within the constraints of its weedy 151lb ft and the sky-high 6400rpm at which you get it, the Toyota does a reasonable job of hauling you along without the need to get manic with the gears. But you’d better be willing to get manic if you want to get anywhere. 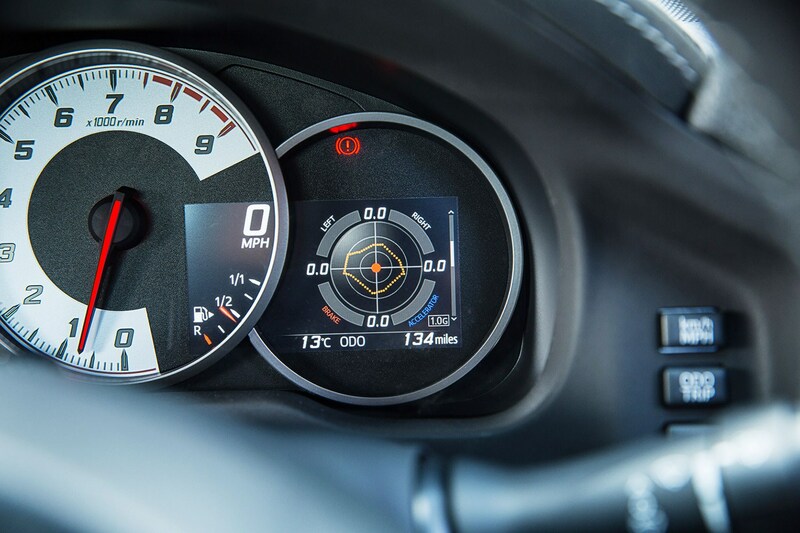 In fact, you quickly realise that trying to drive the GT86 slowly is virtually impossible. It’s a while since I’ve driven a GT86 and this one makes a better noise than I remember, but despite its quirky flat-four layout, it’s not a loveable engine. It doesn’t sound that distinctive, just gruff. It doesn’t feel that smooth. And it never quite manages to feel fast. I get the idea of a sports car that feels fun at sane speeds. But I believe there’s a minimum level of performance that’s acceptable, that gets you grinning and lets you overtake safely. Twenty years ago, the GT86’s 7.6sec to 62mph would probably have been enough. Now? I’m not so sure. The MX-5 has the same problem, and can’t placate you with its fun fizzy character like its even slower 1.5 brother can. 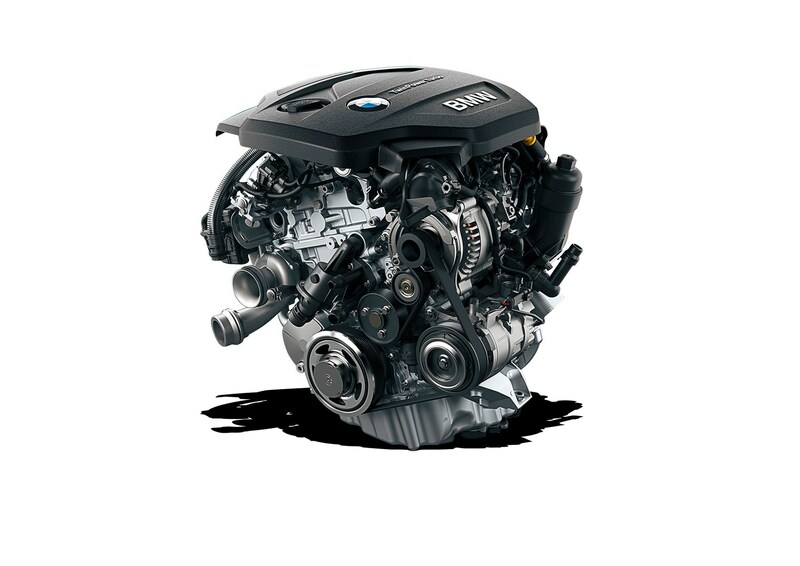 It doesn’t do the BMW’s turbodiesel torque trick, knocking you back in your seat like you’re Marty McFly plugging your guitar into Doc Brown’s jumbo amp for the first time. And there’s no euphoric VTEC moment at the top end either. It’s the white goods of the sports car engine world. But – and it’s a big but – the manual gearbox connecting you to it is so brilliant you can almost forgive all this. Light as a supermini’s and as short of throw as a pee wee baseball pitcher, it makes the GT86’s feel clumsy and agricultural, and reminds the automatic BMW driver that coupes are meant to be about fun, not efficiency. 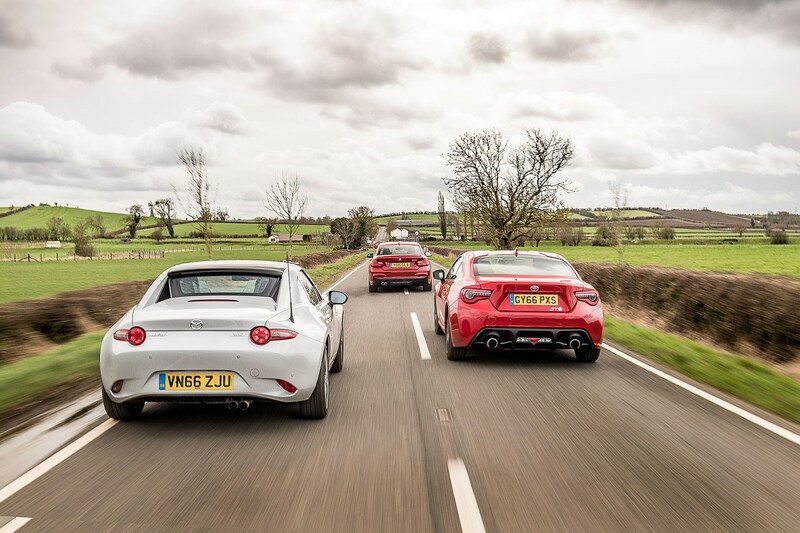 The Mazda’s modest performance – 0-62mph takes 7.4sec, although it actually does a decent job of clinging on to the BMW’s coat tails at full chat – means you’ll be stirring the stick anyway, but it’s so much fun you’ll do it more. Rev-blipping downshifts? This could be BSM’s official heel-and-toe school car. 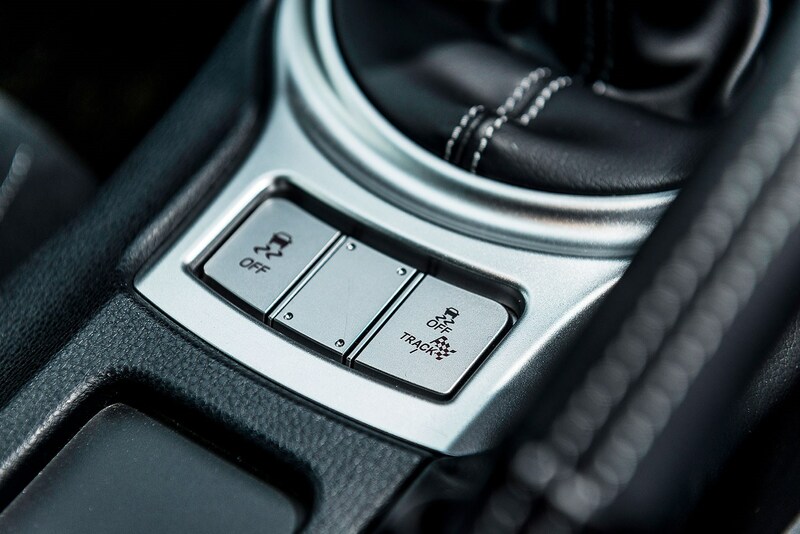 Again, like the GT86, there’s the option of an automatic gearbox, but it’s hard to believe anyone opting out of this level of intimacy with a car. It’s like being offered the key to a car’s soul but opting for a plip-plip remote instead. 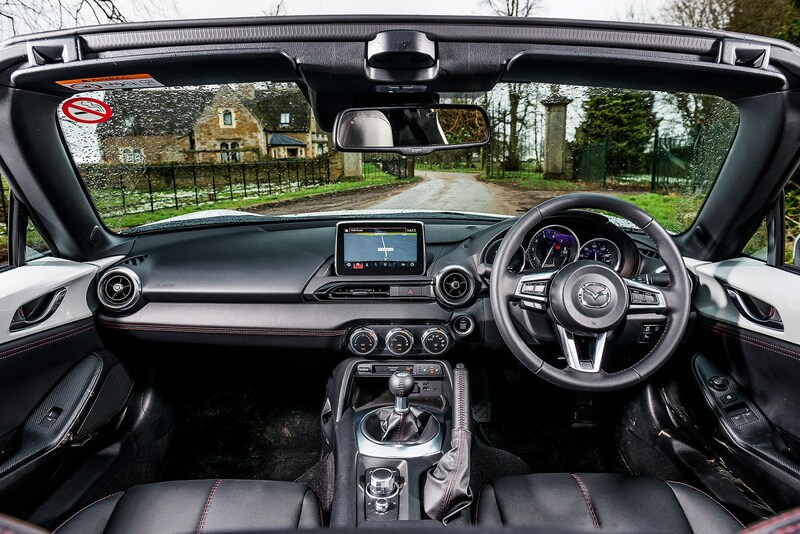 Everything about the MX-5 is intimate, including your proximity to your passenger and their knees’ relationship with the dashboard. It’s tiny in here, and the RF’s improvement in headroom over the roadster is fractional. The useful storage cubby in the rear bulkhead between the seats is smaller now, which is a pain because there’s no glovebox and not many other places to store stuff. But the roof does at least fold away without doing a major land grab on luggage space. It takes around 13sec to store the roof, which is considerably longer than it takes to throw back the convertible’s soft-top by hand. And unlike most modern cabrios that let you cruise along at up to 30mph while the motors do their thing, the 4 RF’s electronics insist you’re doing less than 6mph. When the roof disappears, so does the rear window, replaced by a wind deflector. It adds another dimension to the driving experience that you can only get with the 2-series by spending big on the convertible version (£31,235), and are denied altogether on the GT86. But it never feels like a proper convertible in the way the roadster does, or the old folding hard-top did, for that matter. In fact hideous buffeting with the roof down means it’s actually less enjoyable than the roadster when the sun is out, while it still has most of the refinement drawbacks when it’s not. Roof up, it’s the noisiest and least relaxing of these three. But tin hat or not, you don’t buy an MX-5 and whinge about refinement. Or you shouldn’t, provided it compensates in the corners. And it does. The RF might have added almost 50kg to the Mazda’s kerb weight but that weight and accompanying increase in the centre of gravity have been offset by a thicker front anti-roll bar, new rear springs and revised damper settings all round. As with the Sport-spec soft-top, the RF Sport gets stiffer Bilstein dampers anyway, to kill the roll you get in the standard car when you turn that pointy nose into a bend. But it’s still relatively soft, which at least gives an impression of drama when the engine can’t quite provide enough. You find yourself yearning for a bit more weight and Lotus-like surface information in the feedback, but there’s real precision to the hyper-clean steering, making this the one car that you can really lock onto an imaginary line drawn out by your eyes on the tarmac like a training mode on a computer racing sim. The MX-5 deserves a better engine, but it feels like a proper sports car in a way the BMW never does. Not that the 220i isn’t capable. In fact its steering, pleasingly uncorrupted by the chunky torque output, is surprisingly lively, feeling even more alert around the straight-ahead than the Toyota’s. And this M Sport’s adaptive dampers provide sufficient body control to harness the effects of an extra 300kg over the MX-5 doing its best to flop onto its door handles. 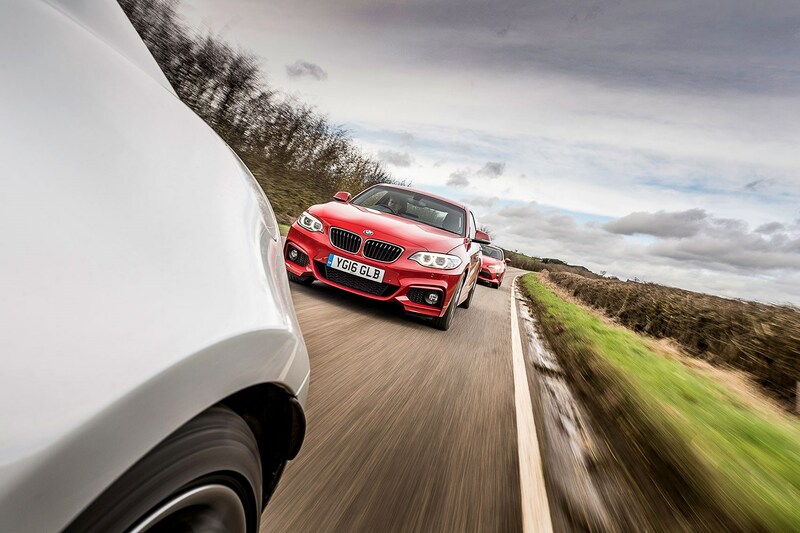 BMW 2-series Coupe: a bit too sensible for its own good? But this is definitely a bigger car than the others, and feels it. It isolates you from the raw thrill of driving, preferring to emulate a junior 4-series than a B-road weapon like the GT86. And there are times when you’ll love it for that. But the strong sense of balance that comes from the even weight distribution and prevents those fat front tyres sliding wide when you don’t want them to, also stops those rears edging ever so slightly wide when you might. 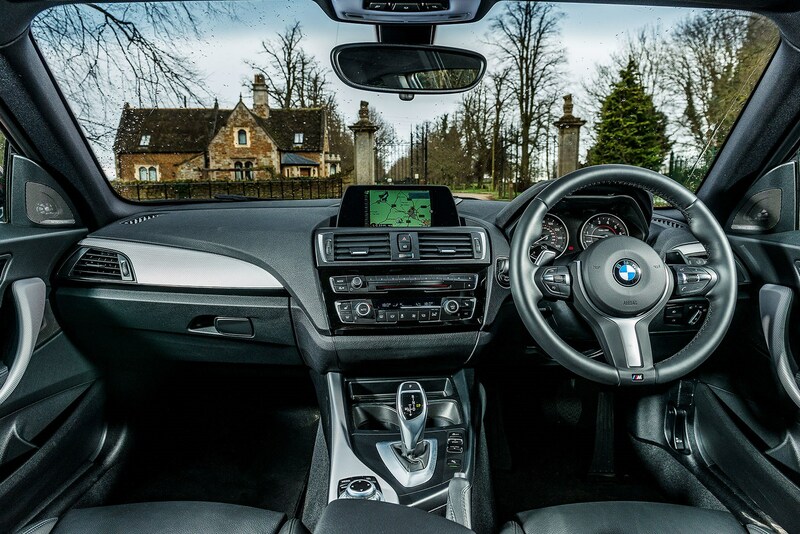 We know that in the real world a generation of BMW drivers weaned on front-drive hatches and shielded from the true physics of rear-wheel-drive behaviour by big rubber and stability systems do not go around sliding cars. The fact is, if BMW replaced this car with one that looked exactly the same but was based around the front-drive 2-series Active Tourer, almost no one other than M2 buyers (grappling 500bhp Montego Turbo levels of torque steer) would notice or care. And that’s a shame, because the car whose spirit the 2-series wants you to believe it’s channelling is the original ’60s 2002’s, a car whose fun handling built BMW’s legend. The GT86 shows where BMW has missed a trick. To not isolate you from what the car’s doing, but to help you understand it, to learn from, and work with it. Better together, and all that. And not because it’s necessarily slewing all over the place like Ken Block crossing a diesel spill, because it doesn’t have enough grunt for that. But because there’s always a suggestion of movement. A transition to a neutral balance mid-corner that demands you unwind a little lock. Maybe a little slide that demands some more serious correction if the road is nice and greasy, which is the best time to enjoy a GT86. It all happens so slowly, so progressively and so naturally thanks to those skinny, low-grip tyres, and a new Track mode for the ESP means you can play knowing the car has got your back. And at high speeds, you still get the rock-solid stability you need to ensure you’re enjoying the scenery, not landscaping it. Toyota stiffened the springs and dampers as part of the recent facelift that you’ll spot, if at all, by its wider grille and LED lamps at both ends. But it’s done nothing to alter the fundamental character of the car, outside or in. New useful buttons on the smaller steering wheel, a touchscreen media system and smatterings of alcantara lift the ambience slightly, but largely it’s the same: room for four at a push, a slight shortage of mechanical refinement, and loads of plastics harder and shinier than a Miami nightclub bouncer. As in most group tests, we’ve reached the conclusion of this one knowing the notional perfect pick would combine strengths of each: in this case, the Toyota’s style, the BMW’s punch and the Mazda’s precision. But unless you’re going to buy all three and build one show-stopper – and two hounds – that’s not how it goes. How it does go is something like this. As a roadster, the MX-5 has things all sewn up. It’s excellent value, great to drive and has no rivals able to match its purity. But the RF’s not such a clear-cut case. It costs more, and looks worse. It also fails to deliver a properly resolved convertible experience while not matching the refinement of a proper coupe either. If you want an MX-5, the regular car is a better bet. The BMW sits at the opposite end of the spectrum. It is what it looks like: a two-door saloon with a side order of sheer driving pleasure. It has the best engine here and the only automatic worth having, if that’s your thing. It’s the most practical, the most refined, scores well for CO2, and low lease rates mean it’s less expensive than the list price makes it look. It’s arguably the best car because it’s the most competent at such a wide range of disciplines, and there’d definitely be days and roads when you’d be glad you hadn’t picked anything else. I almost made it win. But then I remembered. There’d be other times, other roads when you’d see the tarmac wind away and remember why you wanted a coupe in the first place. Fun to a point, the BMW then fails to deliver that final level of interaction. But the GT86 does. The Toyota is marginally more appealing post-facelift, but not enough to sell in any greater numbers. If you hated it before, a bunch of LEDs isn’t going to make a difference. But if you’re serious about buying a coupe because of the way it drives and not merely the way it looks, this is your car. It’s a marvel that the GT86, a car so out of step with the turbo-power and endless-grip performance car zeitgeist, exists at all. And a worry that given its slow sales, it might not be repeated. Collectively, we’ve been asking for cars like this, and when they disappear because we didn’t fill our garages with them, we’ll only have ourselves to blame. Whatever you think of the RF’s styling, you can’t argue with the brilliance of the packaging. 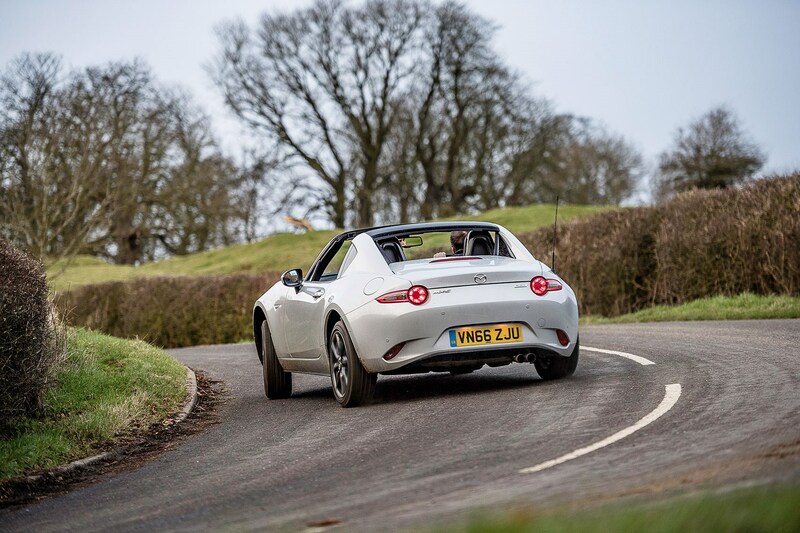 Like the roadster, the RF manages to fold its roof and rear window into the void behind the rear seats, without eating into the 130-litre boot space. Shame you have to be virtually stopped to operate it, meaning it’s less spontaneous than the soft-top. With its skinny Prius tyres and friendly rear-drive handling the GT86 has always made a big play of its ability to slide without scaring. Now, in addition to fully-on and more liberal SC Sport modes, there’s a laissez-faire stability setting called Track, selectable via a button on the console. It’s your last stop before fully-off setting and lets you have all the angle you could realistically want. The never-ending horsepower wars going on around the GT86 mean our relatively lowly 182bhp turbo’d 220i makes almost as much power as a six-cylinder 328i of 20 years ago. But it’s still under-stressed here: the 330i makes 249bhp from essentially the same engine. Yep, the 230i is a four-cylinder, and the 218i uses the Mini’s triple. 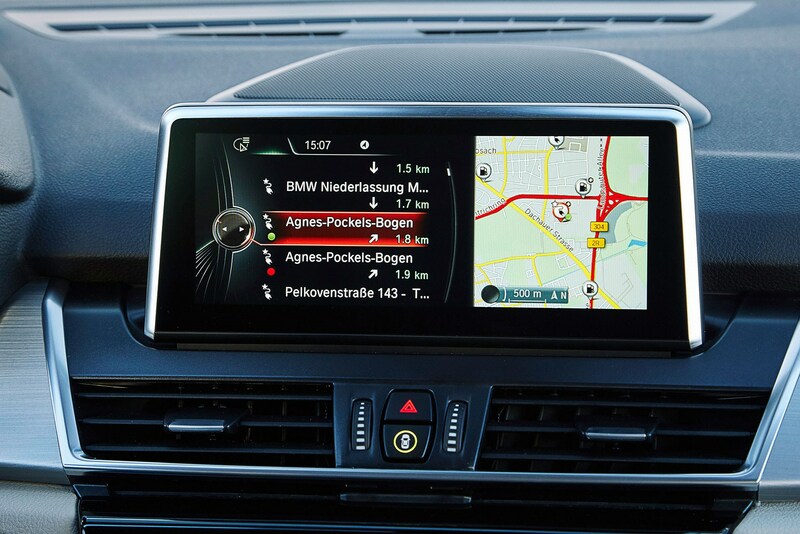 Everything you thought you knew about BMW’s naming conventions is wrong. Again.